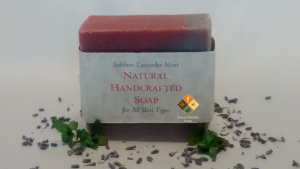 Short Product Description: The soap is made with Greek Mountain Tea and tea leaves. 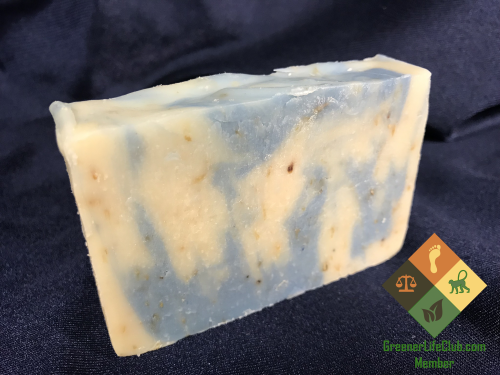 It is nicely scented by a Lavender-Chamomile fragrance oil with a blue/beige swirl. The soap is made with Greek Mountain Tea and tea leaves. It is nicely scented by a Lavender-Chamomile fragrance oil with a blue/beige swirl. Each batch of soap is handmade and is hand cut. Each bar of soap will vary slightly in thickness and weight.